It’s easy to indulge in holiday cookies and cakes this time of year- the choices are too tempting and the availability is often irresistable. But it’s also a good time to remind yourself about what’s important to eat- and avoid- so that you continue to age in a healthy way. The National Institute on Aging has a handy fact sheet on how to discern the value of proteins, carbs and fats as you eat your way through the holidays. So put down the cookie and Click Here. 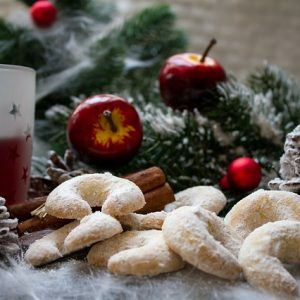 And if your idea of holiday fun is cooking your way through the gatherings, you and your guests may benefit from taking a look at the new cookbook from Dr. Michael Greger, founder of the website nutritionfacts.org. In this just published, and provocatively titled, How Not To Die Cookbook, Greger provides tons of recipes that allow for healthy eating, whether it’s the snacks you reach for or the desserts you crave. Finally, some of us are sure that no matter how healthy our eating habits, we need supplements to ensure our health and well being. But just because it’s a supplement, doesn’t guarantee its health benefit. In fact, the MedShadow Foundation recently published a chart explaining the risks and side effects of several commonly used supplements. So before you swallow that extract, examine the list Here.